So, after the best part of a week, Labour Conference as come to an end and its 13,000 pass holders have headed home to their respective constituencies. 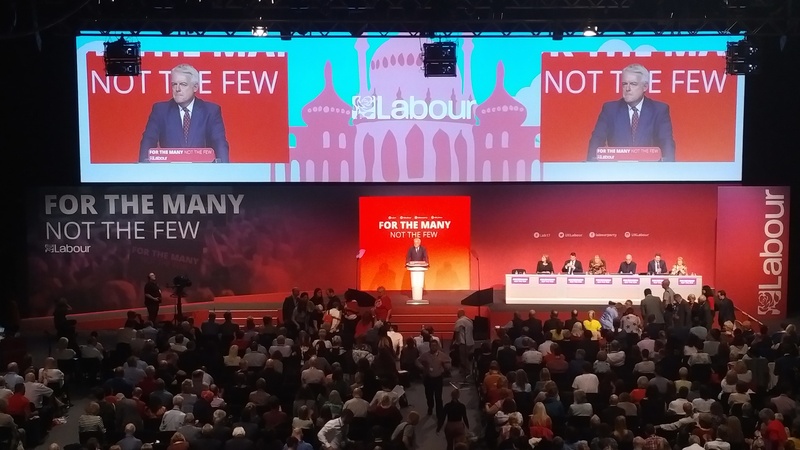 The debates and decisions taken at this conference have been the most significant of any Labour conference for some time, with some fundamental changes to the way the party operates. Nonetheless, and in contrast to what many had claimed, the spirit of the conference was very much one of unity and of a party getting ready to move the country forward, in contrast to the fratricidal warfare taking place at the top of the Conservative Party. For my own part, I was able to enjoy the level of debate in the hall (although unfortunately unable to participate due to this year ex-officio passes losing floor access in order to make way for record delegate numbers), reconnect and form new relationships with comrades from further afield, and participate in a number of private roundtable discussions with other policy-makers and stakeholders around Housing and Skills. Such roundtables are a useful opportunity to help influence policy both within the party and further afield, and often help to provide new insight into tackling issues at home. All-in-all, a very useful and entertaining few days. Unfortunately, commuting to Brighton daily as late and as early as trains and commitments in Crawley allowed while mixing with people from across the country has had the predictable effect of giving me a bout of Conference Flu (and, having not had a drink in a number of months, in my case that’s certainly not a euphemism for ‘hangover’), something I need to shake off ASAP having agreed to run the Bear Grylls 30k Ultimate Survivor this Saturday. Busy, busy, busy.